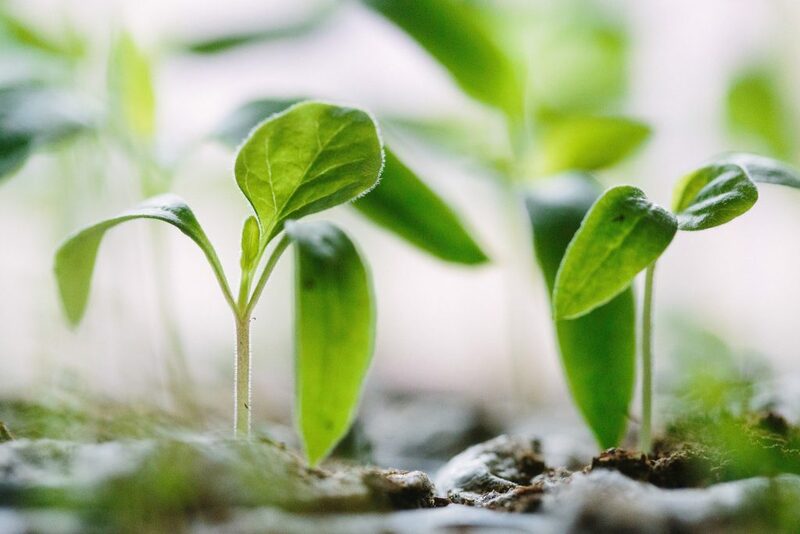 Gardening isn’t always easy (nor affordable), especially when you need to constantly buy fertilizers and soil enhancers to have a beautiful, blooming garden. Luckily, we’ve found an awesome, affordable way to save you time and those hard earned dollars this summer with a tea garden. Ok- it’s not really a tea garden, but we will show you how you can re purpose used tea in your garden to not only save a couple bucks, but give your plants a blooming boost as well. And, let’s be honest; not everyone is blessed with a green thumb, but everyone does have access to a variety of loose-leaf premium teas from Dollar Tea Club. It’s no surprise our natural herbal teas are delicious, but our blends can also be used to perfect your garden game! Let’s take a peek at the various in which ways you can re-use your steeped loose-leaf tea to spruce up your garden this Spring and Summer. 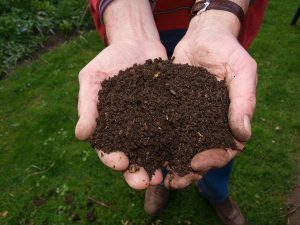 Put simply, composting is the process of recycling organic matter to make a rich soil that contains an abundance of beneficial nutrients for your garden. While you can purchase compost, it’s better to make it at home (and easy, to boot). Rather than throwing out vegetable scraps and coffee grounds, you can start a compost bin. And another beneficial ingredient? Loose-leaf tea! After you’ve already steeped and enjoyed a pot of quality loose-leaf tea, simply collect the cooled tea leaves from the pot and place them in your compost bin! Tea leaves are nitrogen-rich, making them the perfect addition to your compost bin, which will be carbon-rich and perfect for your “tea garden”. We’re dreaming of a white Chris… wait, wrong season! This Spring, we’re dreaming of a vibrant rose garden; and a great way to give a boost to your roses is to use premium loose-leaf tea leaves. There are several ways in which you can incorporate tea leaves into your gardening process. Of course, composting is always an option for pretty much anything in your garden. More specifically for roses, you can use steeped tea to water your roses, or you can place your steeped tea leaves on the soil around the roses, then cover them with a layer of soil to enrich the area. If you’ve made a pot of tea and can’t finish it, this is a convenient way to put it to good use! Instead of throwing your tea leaves away, you’ll be reusing them in a positive way. 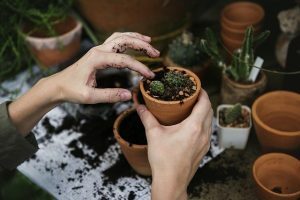 For those of you that don’t have access to or room for a garden, there are still ways to re-use your steeped loose-leaf tea using potted plants. For this recycling tip, you’re going to want to use a tea bag, which you can find here. Next time you pot or re-pot a plant, make yourself a cup of tea first! You can use your tea bag to cover the drainage hole at the bottom of the pot so that your plant will receive the nutrients from the tea every time it’s watered. 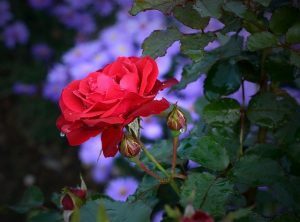 This tip works best for roses, ferns, and acid-loving plants due to the tannic acid in tea. Loose-leaf tea can also act as a nutritious fertilizer for your garden and house plants! After you’ve enjoyed a hot cup of tea made from a premium loose-leaf blend, there are a couple of options that you can choose from to create an all-natural fertilizer. The first option is to re-steep your tea leaves and, once the tea has cooled, use it to “water” your plants. You won’t want to use this method every day, but it will provide essential nutrients to your plants if done occasionally. The second option is to add your tea leaves to the soil around your plants or placing them under the soil of a potted plant. Once again, this tip works best on acid-loving plants, otherwise, it may upset the natural pH levels in your plants. There you have it, your very own Tea Garden guide! And there you have it! Four simple ways to reuse and recycle your steeped tea leaves without breaking the bank! You can sleep better knowing that your garden is blooming as a result of an environmentally-friendly and chemical free method. For delicious, quality tea blends, consider Dollar Tea Club’s loose-leaf tea subscription. You’ll not only enjoy a variety of different premium blends, but you can also use them to create a beautiful and sustainable garden. This entry was posted in Health, Uncategorised. Bookmark the permalink.